In Kunzite, love and the divine are united. Through it, there is a connection of the heart chakra with the vertex chakra. 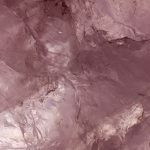 In the center of the heart, Kunzite gradually but systematically eliminates all blockages and negative emotions, allowing us to enter the deepest dimensions of our soul, the sources of supernatural love. This stone, especially in partnership, helps to empathize with the feelings and needs of others. It teaches us to yield and not necessarily impose our ego. Thanks to it, we find the necessary tolerance in interpersonal relationships, an important condition for respect and mutual understanding. In the center of the forehead, it erases the senses, awakens intuition and inspiration. In the center of the throat, it prevents us from using coarse expressions and helps us to express our feelings and our emotions without shyness and without inhibitions. Kunzite not only helps us with internal cleaning but also supports external cleaning. It can free our impure aura from negative vibrations. How to use kunzite stone? This stone is very powerful if you place it at the level of your heart, for example during your meditation session. Generally speaking, it is rather a stone that is applied directly to a part of one’s body during relaxation sessions. It is very fragile which makes it difficult to use in jewelry. Kunzite will purify your aura of negative waves, so you can reach very high levels of meditation. To purify it use distilled salted water and let it recharge on a board because the sun may damage it. In a general way think to purify it during your acquisition but no need to do it more than twice a year; it is a very Zen stone which does not accumulate a lot of negative energy. It is suitable for all signs of the zodiac without distinction. Attention in no case the use of a stone does not replace a medical treatment with a professional. Kunzite can help you in your daily life but does not replace the advice of an expert. It can be used in addition to a medical treatment or as a background treatment in everyday life. Always seek the advice of a specialist.